Youth Empowerment is defined as an attitudinal, structural, and cultural process whereby young people gain the ability and authority to make decisions and implement change in their own lives and the lives of others. 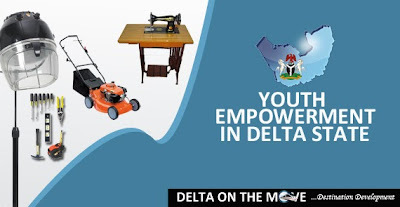 The Youth Empowerment Centre, Egbokodo-ltsekiri in Warri South LGA is a Model-class Multipurpose Youth Training Centre established by the Delta State Government within the context of its Human Capital Development, Peace, Security and Job Creation agenda. It is established in partnership with the United Nations Development Programme (UNDP) and managed by the United Nations Office for Project Services (UNOPS). The Centre requests application from suitably qualified candidates of Delta State origin for the 2013/2014 academic session. Interested candidates should be between the ages of 18-30 years. Minimum entry requirement is Senior Secondary School Certificate with four credits including English and Mathematics. Candidates will be selected based on merit and the number of places available for each programme. The Youth Empowerment Centre, Egbokodo-ltsekiri in Warri South LGA, Delta state. Diesel Plant Fitting & Maintenance. Inquire from the provider. 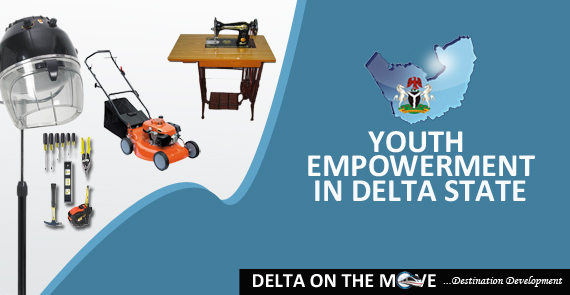 Between 2007 and 2011, the state administration has employed about 18,000 youths through various state service parastatals, commissions and various youth empowerment programs. Completed forms should be accompanied with copies of applicant's credentials, birth certificates/ age declaration, any means of identification, and two passport-sized photographs. All completed application forms should be returned to the points of collection on or before the closing date. Applicants are required to have their application forms endorsed by their Community Trust or CDC chairperson before submission. The application closing date is 24th August, 2013. All applications must be submitted on or before that date. Qualified female candidates are strongly encouraged to apply for the courses. Please note that submission of application forms does not in anyway guarantee automatic admission of candidates to the Centre. Candidates will be selected based on merit and the number of places available for each programme. Statistically Nigeria has a youth population of about 67 million, aged between 15 and 35 years. 42.2% of these young people don’t have a means of livelihood while only 20% have more than the secondary school certificate. These figures reveal that majority of the youths in our country find it hard to make ends meet calling for the need for effective youth empowerment programmes and strategies in the country.